When it's cold outside, having an efficient way to heat your home can keep you and your family comfortable. Fuel oil furnaces heat homes efficiently, and with the right oil, they will heat the entire home. You can use several different oils for the furnaces, including kerosene and diesel. The oil you choose will depend on your preference and your budget. Diesel is an inexpensive option for heating homes. The oil for a furnace is stored separately, and when it is turned on, it is pushed through a nozzle, where it is atomized and ignited by an electric spark. This creates heat that moves through the house with the help of a fan. Fuel oil furnaces use the generic term heating oil, and heating oils come numbered. Oftentimes, diesel is used as the primary heating oil for a furnace. Kerosene has a lighter viscosity than diesel, so it will burn hotter. This can help heat the house, but it could also cause some problems for a heater not equipped to handle heat that's hotter than what is typical for heating oil. If your furnace is equipped for kerosene, the heat from a kerosene heater can easily heat a typical home in a mild climate, reports "The Decatur Daily News." Usually, the kerosene heating oil K-1 is used when diesel isn't available; however, it's more expensive than its diesel counterpart. If you install a fuel oil heater, it is also comparable with typical No. 1 heating oil, which is convenient if you'd like to switch oils later on. Diesel fuel and typical heating fuel are similar in composition, so they are often used interchangeably. According to ConocoPhillips, after gasoline, they are the second most consumed oils. 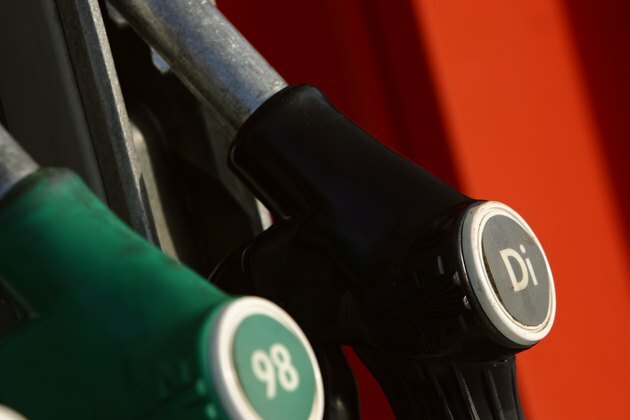 This readily available fuel costs less than other oils, except in times of shortages. Diesel is durable, and it will not damage the furnace. Unfortunately, diesel fuel contains sulfur, which does have some safety and environmental problems. Because of this, refineries were required to reduce the amount of sulfur in their diesel oil produced after 2006. Although your fuel oil furnace can likely handle either kerosene or diesel, do not mix the two, as doing so could pose a fire or fume hazard. If the tank is emptied of one oil, and you fill it with a different oil, pay attention to any fumes coming from the heater, as they could cause health problems, such as dizziness, headaches and nausea.